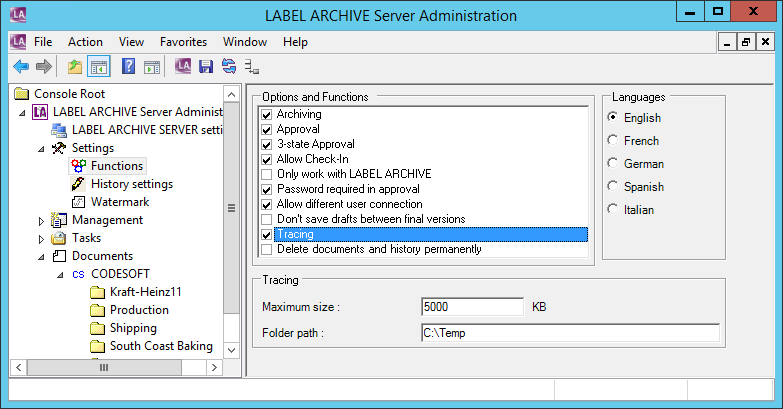 This Reference Article defines and explains how to enable LABEL ARCHIVE tracing for troubleshooting purpose. Log file will be located under C:\ProgramData\Teklynx\[product]\Logs by default. This can be modified to consolidate trace files to one location. You must hit the save icon on the top of the screen in order to save changes and enable tracing.